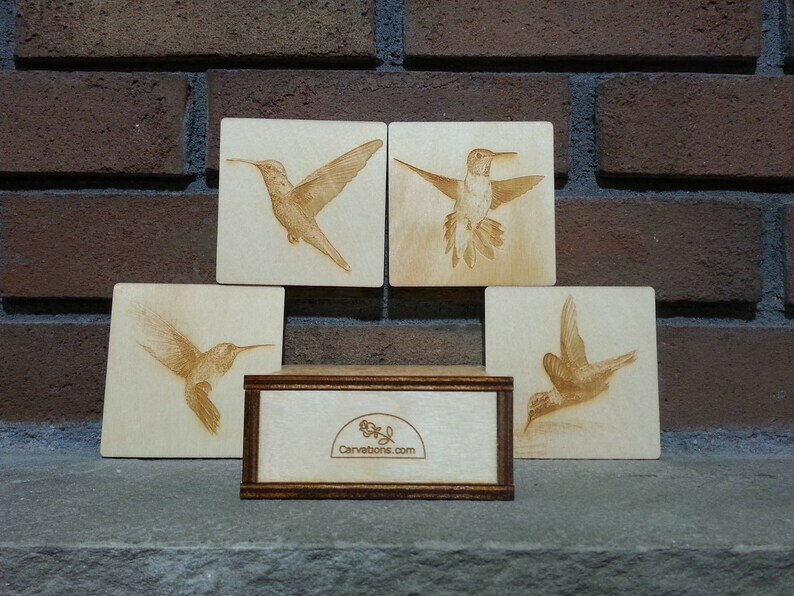 This complete coaster set contains four coasters with four different hummingbird images as well as a storage box. 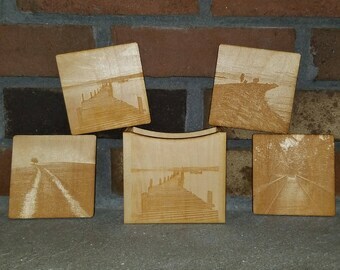 If you have one or two favorites images, you can customize your set by choosing one image for all four coasters or two images on two coasters each. Each image is numbered in an individual photo within the listing. Please indicate your image choice(s) by number in the note to seller section. Another beautiful product by Jennifer and Jason! These are a Christmas gift for a special hummingbird lover, and I know they will be used and displayed proudly for years to come. 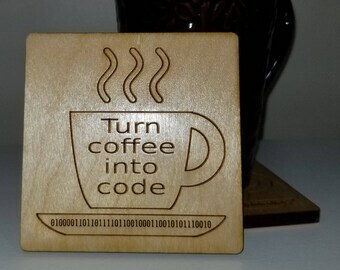 The coasters are beautifully finished, and have nice, nonskid cork feet underneath to prevent them moving. The birds are so vivid on the wood, they really pop. The matching wooden box is stunning, with the same images I selected engraved on the sides. 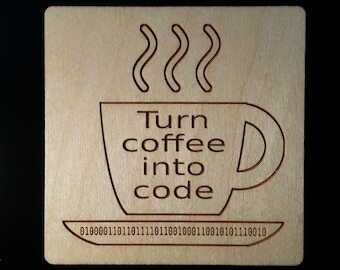 I love the work done by Jennifer and Jason and this is always my go to shop for laser wood products.